Earlier this month, I traveled from Basel to Amsterdam on a Uniworld river cruise called Remarkable Rhine. It was my third time traveling with Uniworld, so I knew the views would be incredible, the excursions would be well planned, and the food would be in abundance. If you've been reading my blog for a while, you may recall my Uniworld Delightful Danube review or my Venice and Po River cruise review. Rather than review the day-by-day itinerary, I'll share some highlights and lessons learned, starting with how to pack and the weather. In my experience, the weather can vary widely in Europe during early May, so I brought a rain jacket, a puffer, and lots of light layers that were wrinkle resistant. 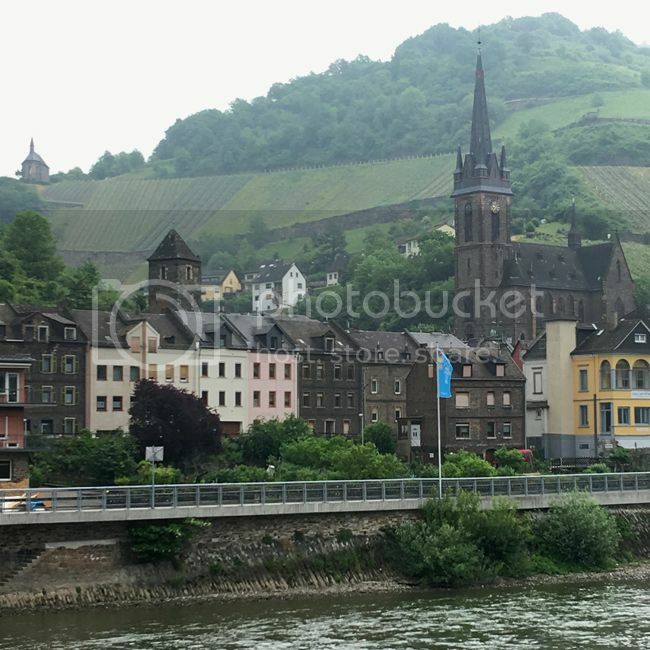 On the trip, I experienced warm and sunny days in Germany, a cold and rainy day in Basel, chilly weather sailing through the Upper Middle Rhine Valley while on the deck of the River Empress, as well as cold temperatures (by my California standards) Amsterdam. The ironing board on the ship left much to be desired, so I was happy to leave my cotton and linen tops at home. The journey began in Basel and worked its way north, ending in Amsterdam, where I extended my trip for two days without Uniworld. 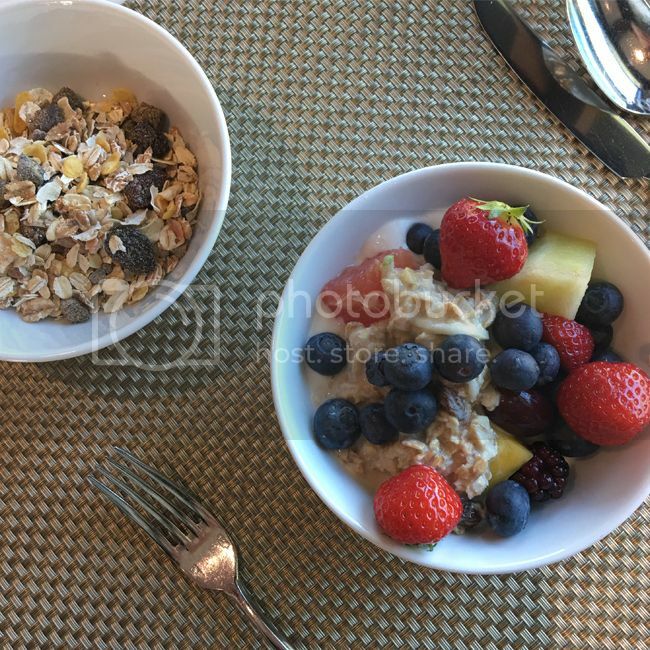 I stayed at the Doubletree by Hilton Centraal Station, which had an incredible breakfast buffet with dim sum, granola, fresh fruit, yogurt, lots of bread, scrambled eggs, salsa, nut butters, and almost anything else you could imagine. I'd stay there again because it was quiet, comfortable, and had a convenient location. The room was small but modern and minimal in design, with the only downside being a small armoire instead of a real closet. Now on to the other parts of the trip. 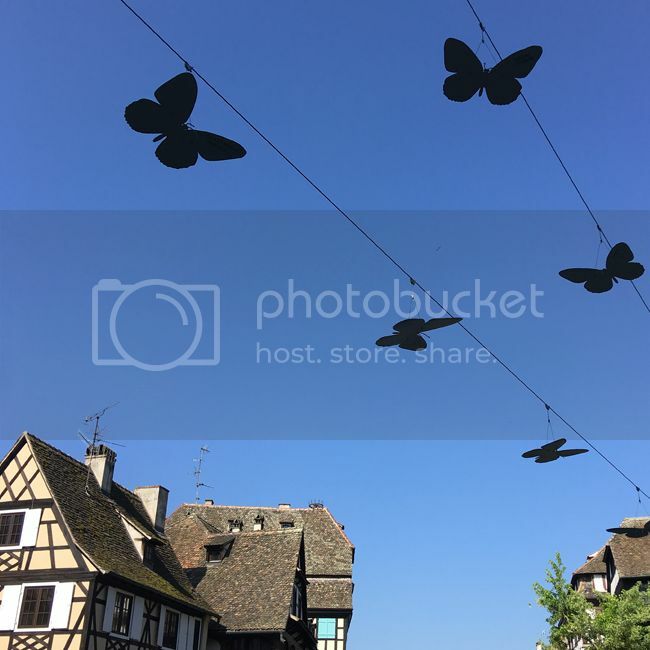 The charming architecture, lush parks, and adorable food shops (sausage, cheese, and sweets) in Strasbourg, France captured my heart. I hope to visit again someday. 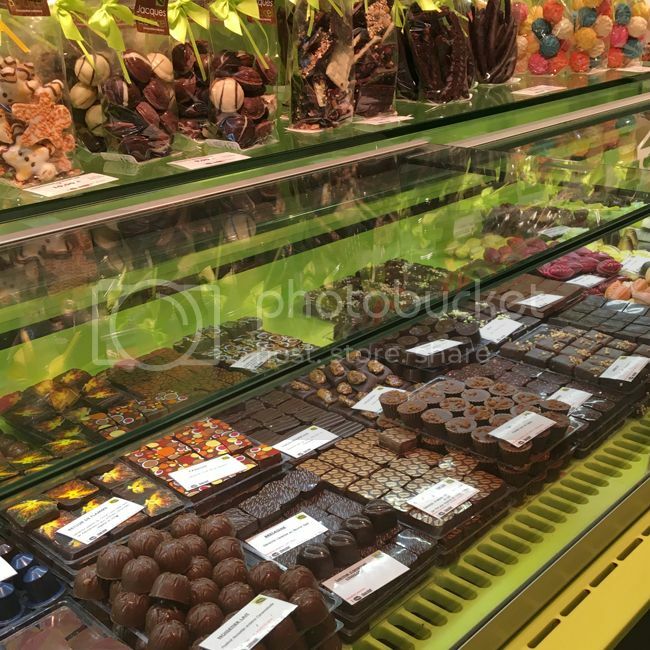 I bought a few tiny chocolate treats from the shop below, as well as some beauty products from the French pharmacies. Fashion note - I also shopped at my favorite French stores: Galeries Lafayette, Promod, and Monoprix. Strasbourg is a busy but bike-friendly city, which also makes it more endearing to me. 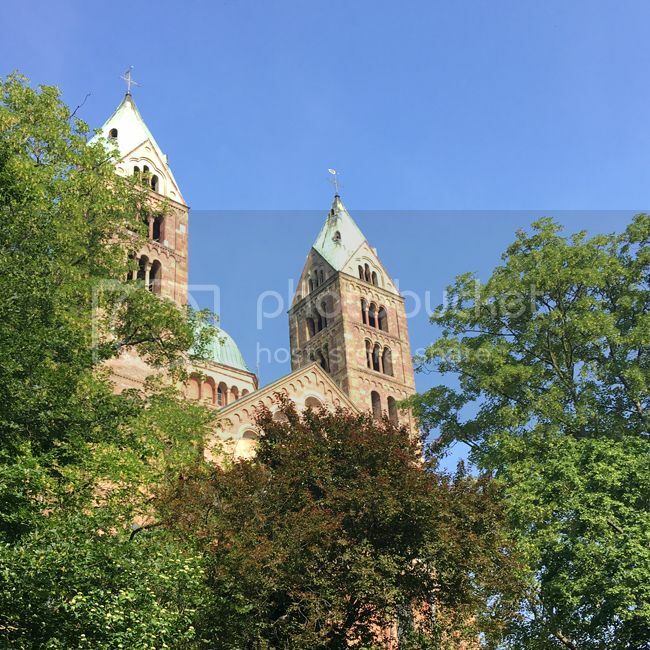 The Romanesque cathedral in Speyer, Germany was gorgeous, and after a brief walking tour, I had a chance to bike around the town, browse the busy local flea market, and enjoy the warm weather. Speyer is a walkable town with friendly locals and stunning architecture. My favorite part about waking up on a Uniworld cruise is the breakfast buffet, and most of all, the Swiss Bircher muesli. I don't know exactly what they put in there, but breakfast is my favorite meal, and the muesli is addictive. It's rich, slightly sweet, and very satisfying. Breakfast began at 7:30 each day, and since I woke up at 5 or 6 due to jet lag, I hit the gym for a pre-breakfast workout almost every morning. It was a treat to have the gym to myself, where I made use of the treadmill, stationary bike, cucumber water, and hand weights. Morning strolls on the deck were another way to enjoy the views and get some fresh air before touring each city. 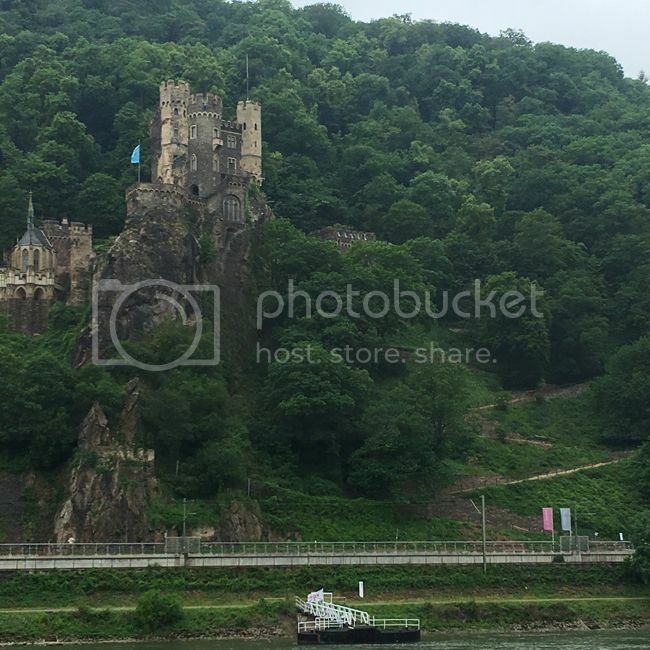 The best part about being on the Remarkable Rhine cruise was seeing the many castles along the Rhine. I've seen this part of Germany before, but I didn't miss the chance to brave cold temperatures on the deck for another shot of this romantic, surreal scenery. It's so picturesque and charming. Everywhere you look there are vineyards, crumbling castles, and adorable villages worthy of a fairy tale. Uniworld tip - enjoy a hot cup of tea or coffee on the deck for this stretch of the trip. 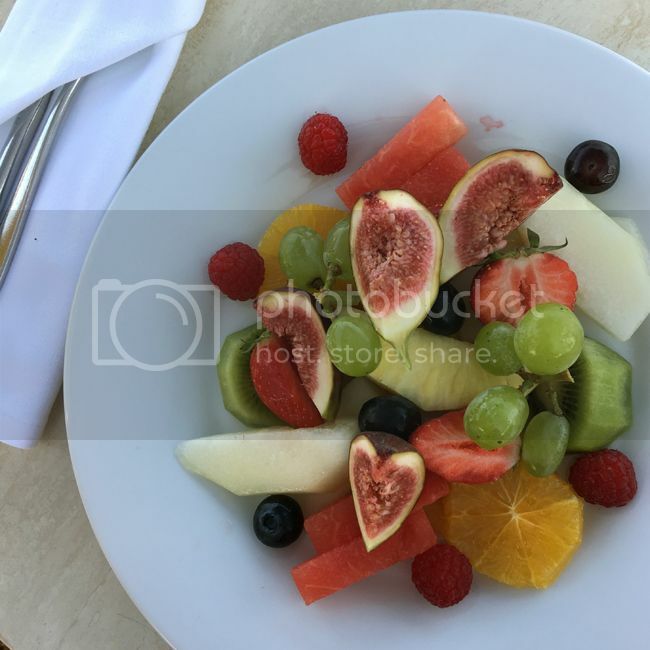 Many thanks to the kitchen staff on the River Empress for graciously fulfilling my healthy eating requests, including this tasty fruit plate that I had before dinner. Meal note - dinners usually began at 7 or 7:30, so there are long gaps between meals (6-8 hours), which I'm not used to. I prefer to eat small, healthy meals every 4-5 hours, so by the time dinner came around, I was ravenous. The figs were quite delicious. 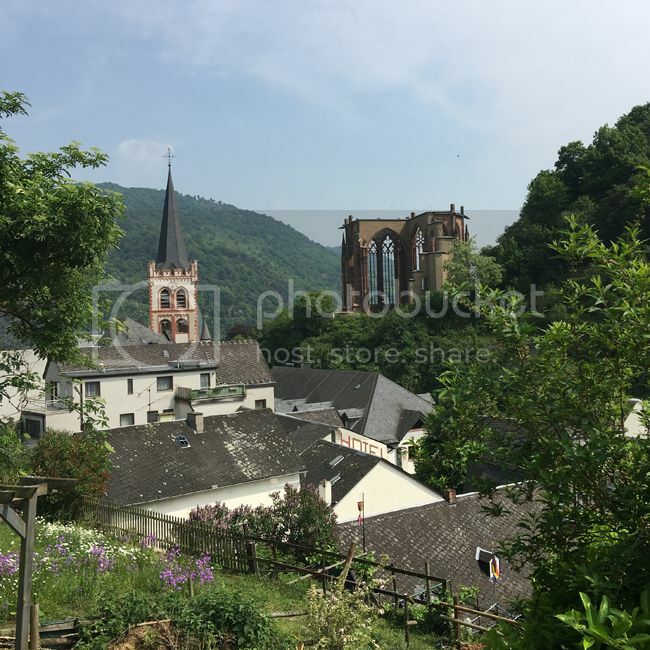 A memorable hike to the Castle Stahlek in Bacharach, Germany offered breathtaking views in addition to being great exercise. Our hiking guide was actually an expat from Indiana who married a Scottish woman and bought a country house in which to raise his family. A walk through the small town of Bacharach was fun, and I capped off the enjoyable day by buying some Birkenstocks (when in Germany, right?) as well an a tiny pistachio ice cream cone for €1 . 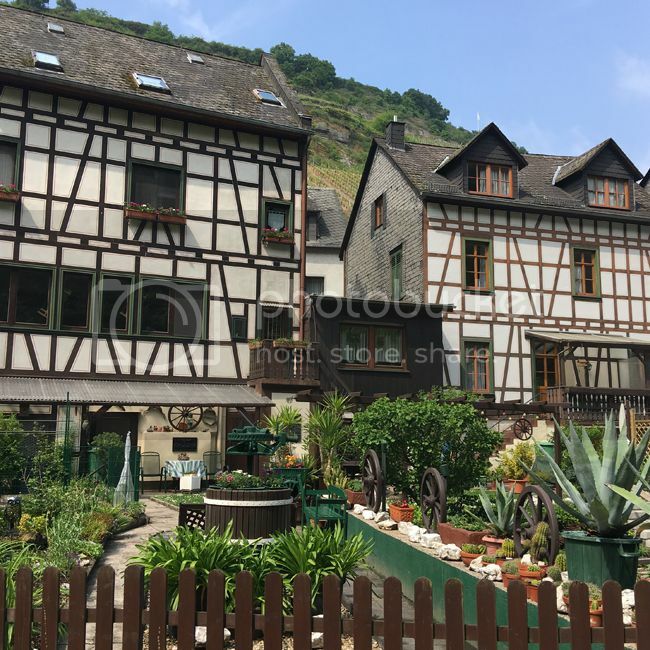 How pretty are these gardens in Bacharach? Any vacation that combines exercise with great views and a guided tour is my favorite way to travel. 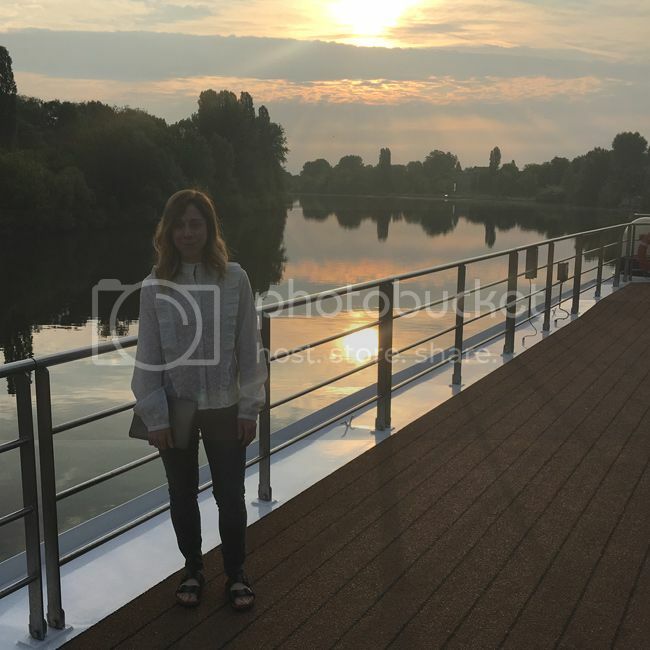 The main downside to a river cruise is having to back on board the ship at a set time in order to depart for the next destination. The upside is that you have at least two tours to choose from each day, and you're never bored. If you like having tours and excursions planned in advance, river cruising is the way to go. There's no sea sickness, the ships are not crowded, and the staff are so helpful. 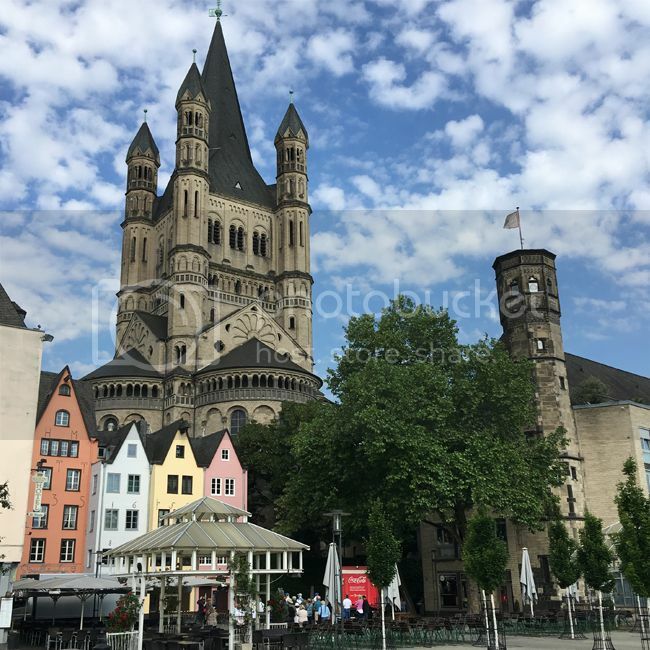 I enjoyed an early morning walk around Cologne, Germany with its historic architecture, empty restaurants, and warm weather. Since I am a fashion blogger, it would be irresponsible of me not to mention how good the shopping is in Cologne. They have a pedestrian shopping district (Hohe Strasse and Schildergasse) with cute eateries, department stores, and many of my high street favorites such as Mango, Zara, Bershka, Primark, and the like. This is a fashion city and it's where I spent most of my euros. Food note - large, tasty sandwiches and fruit cups are easy to procure in Cologne. They are also inexpensive and a healthy way to eat when you're on the go. 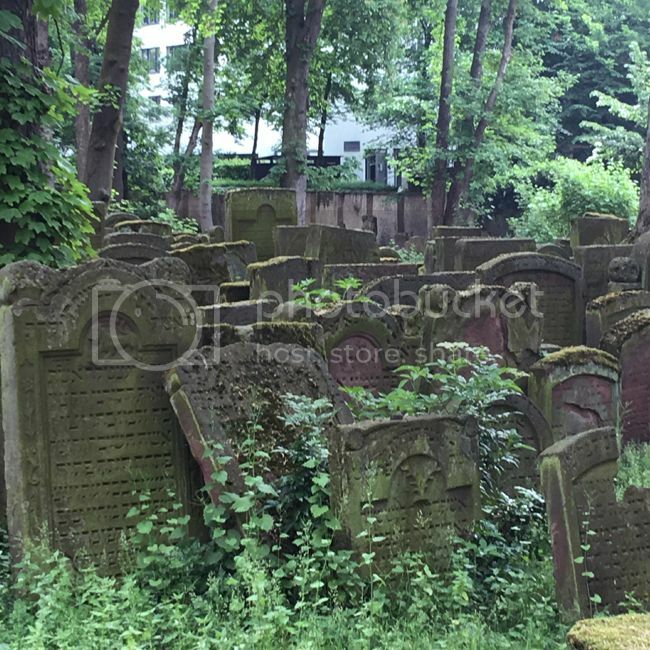 Our guide brought us to a visit to the Jewish cemetery in Frankfurt, where Mayer Rothschild is buried. It was a quiet Sunday morning in Frankfurt, so unfortunately, everything was closed except for a cafe or two. On the upside, there was no traffic in the city. The weather was mild, and I'm so glad it didn't rain. Uniworld travel tip - they offer special Jewish heritage tours, which I highly recommend. They are different from Uniworld's "do as the locals do" tours and offer special insight into Jewish history and culture which is a memorable way to learn things and experience a new place. This cemetery was a travel highlight on this trip and offered peaceful moments of reflection. 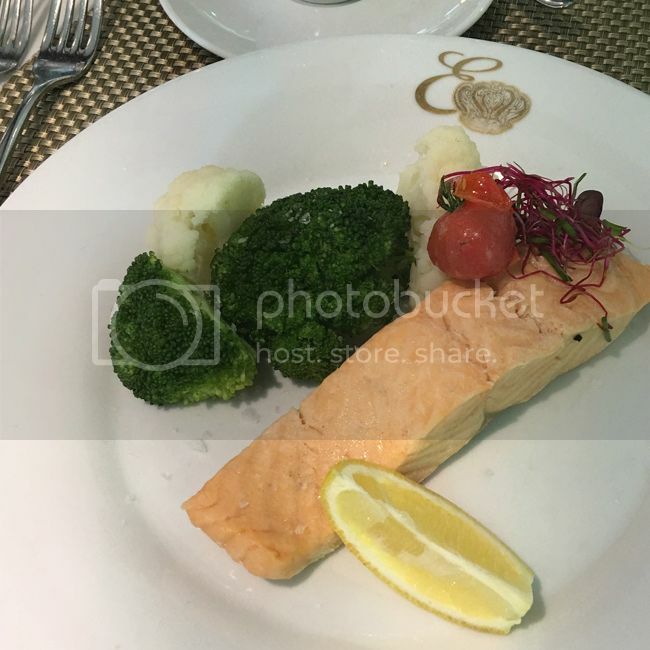 The head chef on the River Empress prepared salmon and steamed vegetables specifically for me every night in my effort to avoid fried, buttery food. I owe him a huge thank you for his hard work. On Uniworld, they spend a lot of effort to make their travelers happy, especially with the food. Breakfast and lunch are over-the-top buffets, but dinner is a five course, 2-3 hour sit-down affair each night. Expect lots of fried food and butter. Sticking to my healthy eating habits, I had a salad for lunch each day. I even managed to drop a few pounds on this trip, so my skinny jeans are not feeling so tight. 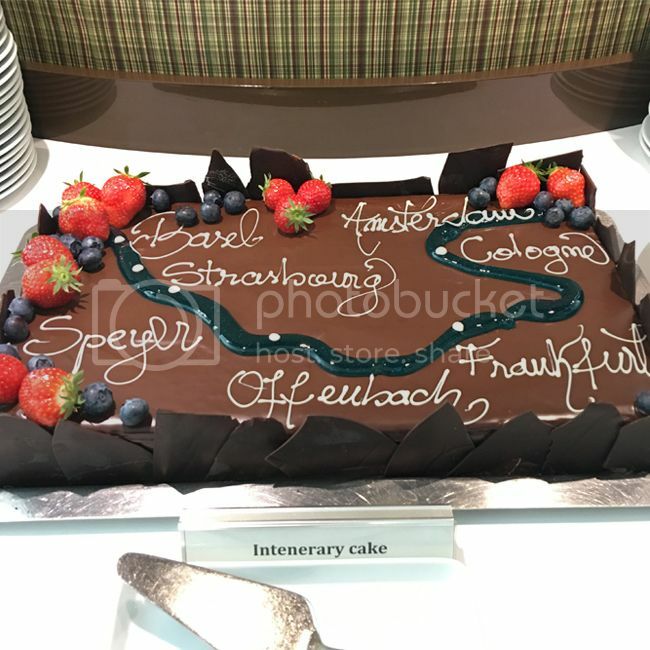 Towards the end of the trip, the pastry chef bakes an itinerary cake, and they also have a chocolate fountain at the lunch buffet. I've found that it's harder to resist temptation at the end of the trip. I definitely sampled the fountain by dipping some strawberries into the chocolate for a somewhat healthy treat. Below, a visit to the Houseboat Museum in Amsterdam. I highly recommend getting the I Amsterdam city card if you plan to visit the city for more than two days. It gives you access to many museums and public transportation, which makes it easy to get around and do more. The weather in Amsterdam was in the low 50's, making my puffer jacket an obvious answer to what to wear. Travel tip - beware the thousands of cyclists as you make your way around the city. They have the right of way so look both ways before you cross a street, bike lane, tram tracks, or canal. They will slow down if they see you, but it's better to cross when it's clear. Street style notes - I like watching people and tracking trends when I visit a new city. 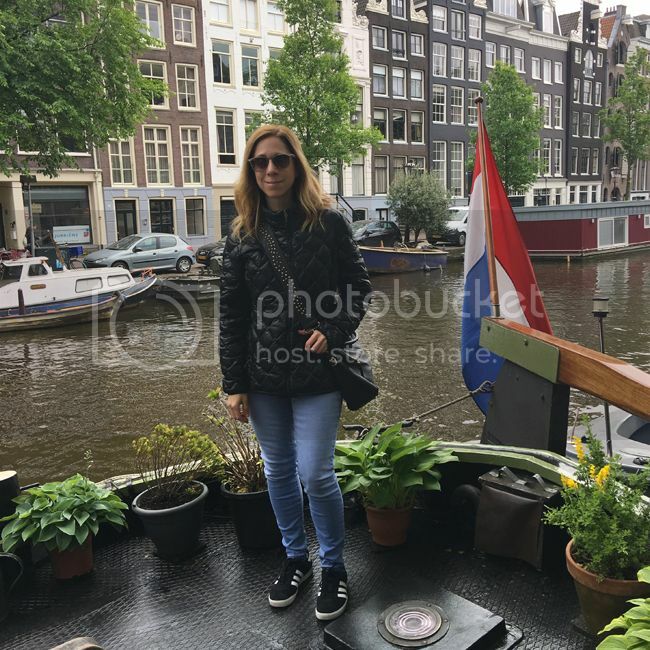 In Amsterdam, the outfit of choice for young women often included high-waisted skinny or straight jeans, moto jackets, and heritage sneaker brands such as Puma, Fila, or Vans. Almost nobody wears a bicycle helmet. I noticed that the women wear their hair natural, and Gucci seemed to be the designer of choice for handbags and on-trend belt bags. What surprised me was the ease with which they ride their bikes (even with babies perched on handlebars or in baskets), while texting on their phones, listening to music, and pedaling with intention on their way to work or school in the chilly weather. Food notes - as popular as French fries with mayonnaise are in Amsterdam, it's still easy to eat healthy. There are an abundance of healthy grocery stores, juice shops, and trendy eateries with organic or vegan options. I found the Albert Heijn markets to be convenient, with good produce selections, fresh salads, and an intriguing assortment of healthy, non-sugary cereals and granola bars. Next time, I'm leaving room in my suitcase for boxed grocery items that can't be found in the United States. 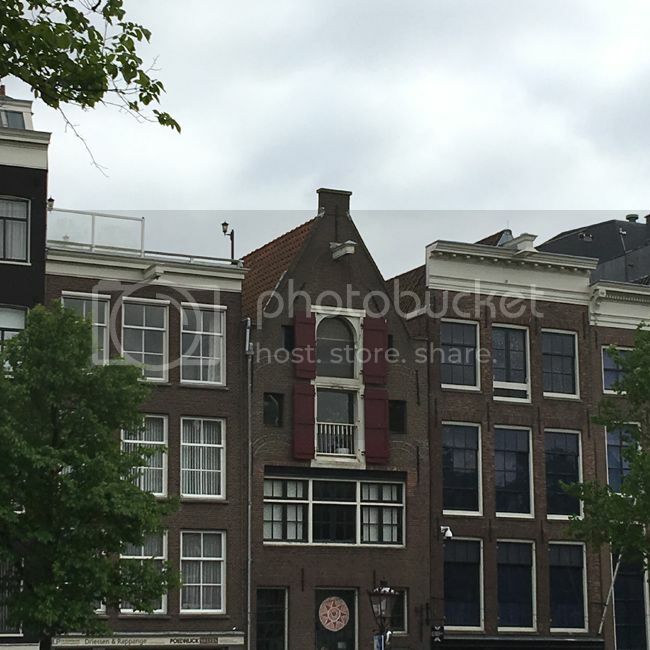 The most memorable place to see in Amsterdam for me was the Anne Frank House. Tip: buy tickets online ahead of time and tuck your cameras away because they're strict about not taking photos or videos inside. It's a very well-designed museum with state-of-the-art audio commentary in each room. The stairs are quite steep inside, and once you're in the various rooms, it's a moving, surreal experience to be in the same room where Anne Frank shared her hopes and thoughts. I flew KLM to and from Amsterdam on this trip, and I have to mention how impressed I am with their customer service, the politeness of the airline attendants, and how frequently they passed out beverages and hot towels. On my flight home, the attendant addressed me by my last name, offered me more water than I could drink, and went out of his way to make it a comfortable, pleasant journey. I'd fly KLM again in a heartbeat. If you haven't done a river cruise, but you're interested, know that there's no sea sickness like on a big ocean cruise. You almost can't tell that the ship is moving, and there are far fewer passengers than on a large cruise ship. The River Empress holds about 130 passengers, 41 staff, and has 65 cabins. If you're like me and you're younger than the target market for traditional river cruises, Uniworld recently launched U by Uniworld, with cool excursions and itineraries aimed at travelers ages 21 to 45. Check out their new itineraries and pricing. I packed my most comfortable pieces for this trip, as well as things that were easy to layer and required little ironing. 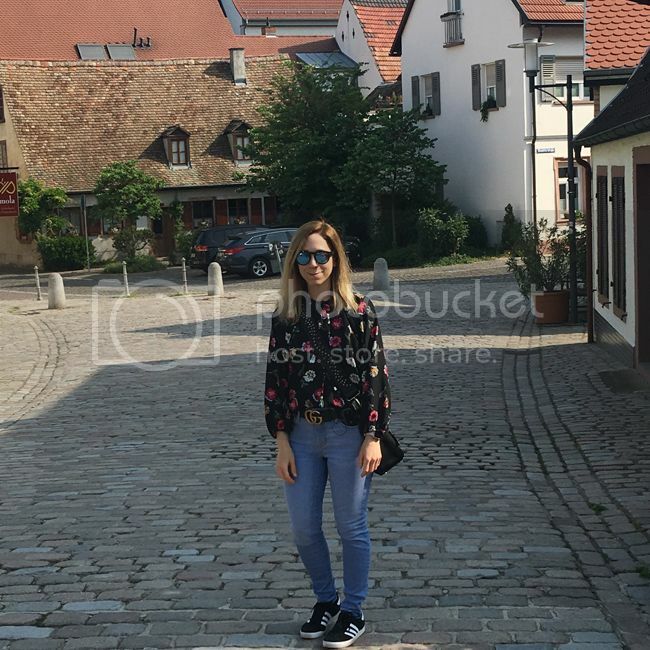 I'm wearing Old Navy Rockstar skinny jeans, Tucker for Target black floral blouse (sold out), Adidas Gazelle sneakers, Gucci belt, Monoprix white eyelet blouse (similar top for $45), Kate Spade Cobble Hill bag (current season version) and Birkenstock Arizona sandals. To book the Doubletree by Hilton Amsterdam Centraal Station, check out the rates on Expedia. Learn more about Uniworld's cool, affordable and fun new cruise line called U by Uniworld.